The Disney-Fox merger is about to become a reality. Comcast said Thursday it was withdrawing from the race to buy key portions of 21st Century Fox, removing Disney’s last significant hurdle for the historic acquisition. 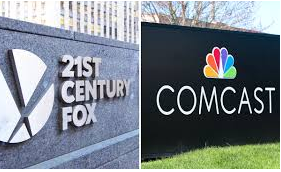 In a statement, Comcast said that it would instead focus its efforts on its $34 billion campaign to purchase Sky, a European pay-TV service – and one that 21st Century Fox also has been chasing.